Pursuing the twentieth-century dream of capturing all sociological data in a single clearinghouse, a group of American social scientists in the mid-1950s attempted a bold, if not completely unprecedented, experiment. They would test the limits not only of content (what was collected) but also of format (how it was collected, saved, circulated, and distributed). The resulting data set of data sets, which I call the “database of dreams,” but which its creators referred to by the somewhat less evocative Microcard Publications of Primary Records in Culture and Personality, took shape between 1955 and 1963. Meanwhile, its more extensive vision—the total archive it portended and evoked containing all ephemeral data from the domain of subjectivity collected from peoples around the world, and available in turn across the globe—never did come about. Yet its would-be creators spoke of it as if to invoke it into existence. At first the group worked collectively on what they saw simply as a pilot project, one that would contain hard-to-capture, ephemeral “human documents” such as life histories, nighttime dreams, daytime wandering thoughts, and psychological test protocols. If this succeeded, and if funding continued apace, they could then address the “all” of social scientific data. So it was that this set of experts, including the project’s spur, the young Kansas-based psychologist Bert Kaplan; his mentor, the Philadelphia anthropologist A. I. Hallowell; the Harvard child-development anthropologist John Whiting; the Iowa sociologist Roger Barker; and the micropublishing entrepreneur Webb Thompson, Jr., chose a subset of the “all” and went about preserving what they saw as endangered, ephemeral data, hoping for their wide circulation. Funded by the National Research Council, the National Institutes of Health, and the University of Kansas, among others, the committee built a data pipeline and storage infrastructure. The result held troves of social science materials from generations of fieldworkers who studied people considered faraway, nonliterate, less advanced, or non-Western (even if, as in many cases, they were American Indians), bringing them together in what was then the most advanced technological formats allowing scalability: compression devices for storage (the Microcard) and expansion devices for access (Readex machines). The former were opaque cardboard cards that held compressed texts (each 8 ´ 11-inch sheet shrunk down to the size of a fingernail); the latter were reading devices that magnified the miniaturized texts back to a legible size on a screen. The project had an “at your fingertips” component: use of portable and desktop reading machines would make it accessible with the greatest ease of movement, an early version of “just a click away” data available on mobile or stationary devices. As a result, hundreds of libraries around the world acquired the prototype of some 20,000 miniature pages, even though it worked awkwardly with the low-cost “pocket reader” (no larger than a king-size packet of cigarettes, it was convenient, but not pleasurable for long-term reading), thus spreading far and wide its globally gathered data. The network meant you could effectively hack into the dream or intimate life details of a person you had never met and likely would never meet, and in fact this contraption made it more likely such a meeting would never occur: it made fieldwork transmissible and thus less necessary for experts of various stripes not inclined to take long trips to the Gran Chaco or other places to gauge remote psychologies. The group brought together a concatenation of advanced methods in social science, library science, and related fields. They borrowed interview prods from psychoanalysis, situations from Cold War behavioral science, experimental imperatives from anthropological fieldwork tradition, and microphotographic technologies (described above). Not least, they employed the capabilities of projective tests to tap into the unwitting subject’s inner concerns. Considered within the context of the fieldwork relationships that sustained them, these tests became incantatory devices. A man named Tariveliman in the southwestern Pacific became devoted to the anthropologist Melford Spiro, who gathered his dreams and tested him with the Rorschach and other protocols as part of his dissertation research. While he lived on the atoll in 1947–1948, Spiro tested Tariveliman with a “battery” of multiple instruments and found his respondent’s answers so deranged that his results did not even fall within the range of testing parameters. Tariveliman in turn followed the anthropologist around each day, longingly picking up his empty Lucky Strike containers and caressing the inkblot cards. While in Spiro’s tent one afternoon, Tariveliman reminisced about the Rorschach cards, declaring, “Those pictures you showed me, I liked them very much.” Ironically, Tarev’s own records did not make it into Spiro’s data set as collected in the Microcard archive, “156 Rorschachs, 126 Modified T[hematic] A[pperception] T[ests]s, 83 Stewart E[motional] R[esponse] T[est]s, 82 Bavelas M[oral] I[deological] T[est]s, and 54 Dreams of Ifaluk Men, Women, and Children” (Spiro 1956). He did, however, appear by name in two of the 54 dreams. 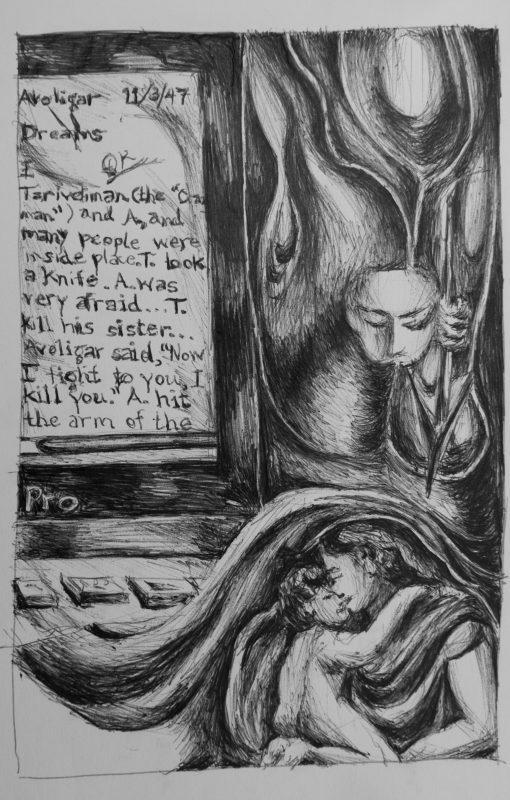 Illustration of a dream of an Ifalukan who dreamed about Tareveliman wielding a knife in November 1947; the dream is preserved in the Kaplan archive, which I found at the Library of Congress. In gathering all this, its creators hoped to capture something like “everydayness.” Not the structure of Ifaluk life or the template of Balinese religious rituals, but the actual, nearly irreproducible feel of these things, the what-it-was-like of ordinary life experiences as they went by, something like what Borges called the “irrecoverable colors of the sky.” It was an index of social-scientific confidence that they felt finally these nonmaterial phenomena could be materialized. Here is a series illustrating a life history found in the “database of dreams,” told by a middle-aged Menomini Indian man labeled Case No. 9. The longer story appears in the final version of my book (Lemov 2015). A brief summary of his story is that when Case No. 9 was a young boy, around 12, he was diagnosed with tuberculosis and sent to an Indian Sanitarium in Iowa, several states away from his reservation home in the woods of Wisconsin. He did not see his parents for several years, and one day arrived at a plan to run away. With two friends, he snuck out of the asylum, hid in corn fields, and set out on the journey home, encountering along the way both kindness and cruelty from strangers. Finally he experienced a miracle: a hostile farmer with a hatred of Indians began hunting them with a pistol after they asked if they could sleep in his barn. They hid in fields of tall wheat, listening to the farmer’s dog search them out. But even though the dog crossed near them several times, he never betrayed them. “All was still,” Case No. 9 recalled. They took an opportunity to run and made their way to safety. When the boy returned to his hometown, no one recognized him at first, for he had grown taller into an adolescent frame. Finally he was reunited with his father; this was the only time in his life the boy saw him cry. “I know this country. We can run away…” (Case No. 9, Wisconsin, Microcard Publications of Primary Records in Culture and Personality 1956). “corn fields was our sleeping place…” (Case No. 9, Wisconsin, Microcard Publications of Primary Records in Culture and Personality 1956). Kaplan’s database was a slumbering giant. Rare forms of data rested there. They did not exactly live, and they did not exactly die. This was true of Case No. 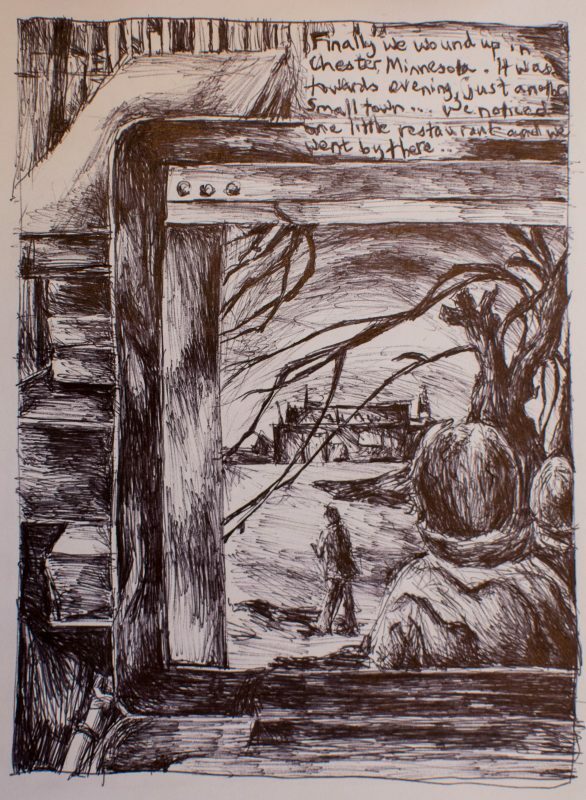 9’s story of his escape from the asylum, as well as many other stories. The man the boy became had always intended to send it to True Story magazine, but had never gotten around to it (“I heard they give prizes. I think of that a lot”), so when the anthropologist appeared to take down his life when he was 44, he readily told the story as if it had already been written, which is exactly how it reads. Like Case No. 9’s story, myriad life histories in the databank remained in a curious unresolved state, preserved but not published, archived but not really available. They rested in limbo. That is where I found them half a century later. Today, professional social scientific archives such as the Harvard “Dataverse”—a repository created to “Share, publish, and archive your data. Find and cite data across all research fields” that now holds 59,287 data sets—function much as Kaplan and his group imagined their database would. Its contents symbolize, according to Gary King, the Harvard political scientist who runs it, the very future of the social sciences, which lies in the realm of intensive data collection. Meanwhile, the other side of Kaplan’s twin experiment, the imperative to collect the always-fading-away quality of everydayness, carries on in diverse public-oriented projects such as Storycorps, Radio Diaries, and other neo-documentalist projects that work with recovered archival materials. In the case of Storycorps, pursuing the creed that “every story matters,” engineers record day-in-the-life stories that re-evoke the possibility of a global archive. Born from Dave Isay’s original StoryCorps booth opened in Grand Central Terminal Station in 2003, it now boasts a mobile van, an ever-widening mandate, a set of prestigious awards, a podcast, and a mobile app for collecting. Particular populations such as 9/11 witnesses or LGBTQ people in America are the focus of special story-collecting efforts, but the overall aim is “everyone,” as both potential listener and potential taleteller. Case No. 9 might easily have found a home there; in fact, I have been contacted by Radio Diaries to explore this possibility. 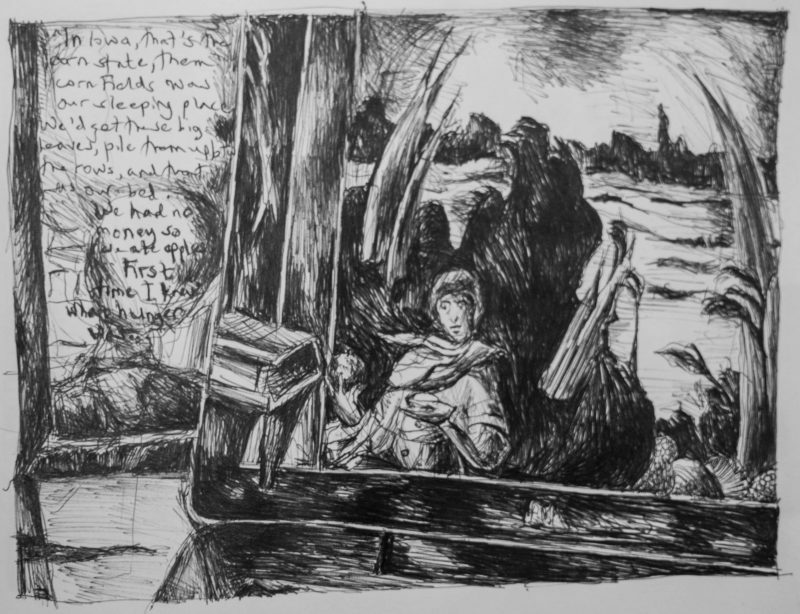 Writing a history of this effectively mislaid and definitely neglected archive occupied me for eight years; during one of those years, I made many drawings (including the series shown here), mostly instead of writing. My method was to take an item or a detail from the database of dreams and find a way to represent it on a page by reproducing the words from my pdfs of the archives, which I had saved by means of the ST200X machine. I then surrounded the copied text with images that I borrowed and redrew from certain websites caching 1940s- to 1970s-era scientific and sci-fi images. Finally, I drew all this within the frames—such as my laptop or the kitchen table—by means of which I was seeing these things. In all of these, my medium was a black or blue ballpoint pen and a sketchbook, both of which could easily be transported anywhere I went. I finished quite a few of the drawings, including one that explored a line from dream collector Dorothy Eggan, who wrote of frequently reassuring Hopi Indians in the preface to her data, “I don’t want your secrets; just give me your dreams.” Then, I went back to writing primarily. Here I’m highlighting the drawings because they were a way of making sense of what, in the end, was “total” about this erstwhile if not quite vanished effort. It was an archive that, in yearning toward totality, of course failed to realize it. Its authors failed even to make the step beyond their own “pilot” project, and as a result, the prelude became the seemingly final act. My conclusion was that the project was illuminating for this very reason: totality did not lie where they thought it did. It is in the striving for completeness rather than the arrival at completeness that its significance lies; likewise, it was in the dream of data and not the data of dreams that the project was important. Reflecting on the place of his drawings in fieldwork notes, Michael Taussig recently observed, “The drawings come across as fragments that are suggestive of a world beyond, a world that does not have to be explicitly recorded and is in fact all the more ‘complete’ because it cannot be completed” (2011:13). I think that’s what these were for. 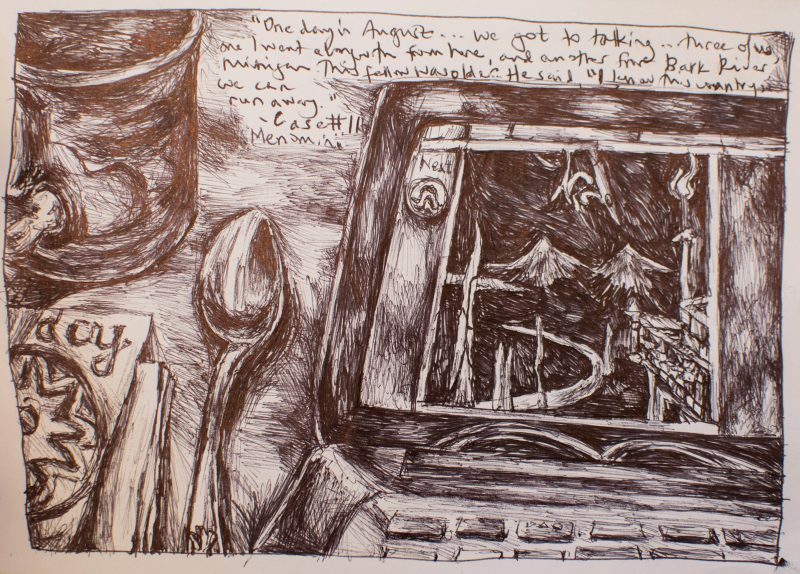 These drawings represented (to me) my own story as a researcher: my attempt to make sense of what the quest for totality means: the “fantasy of total information.” Drawing them brought out for me the slumbering quality of this almost infinitely expansive database, whose fortunes so rapidly reversed. 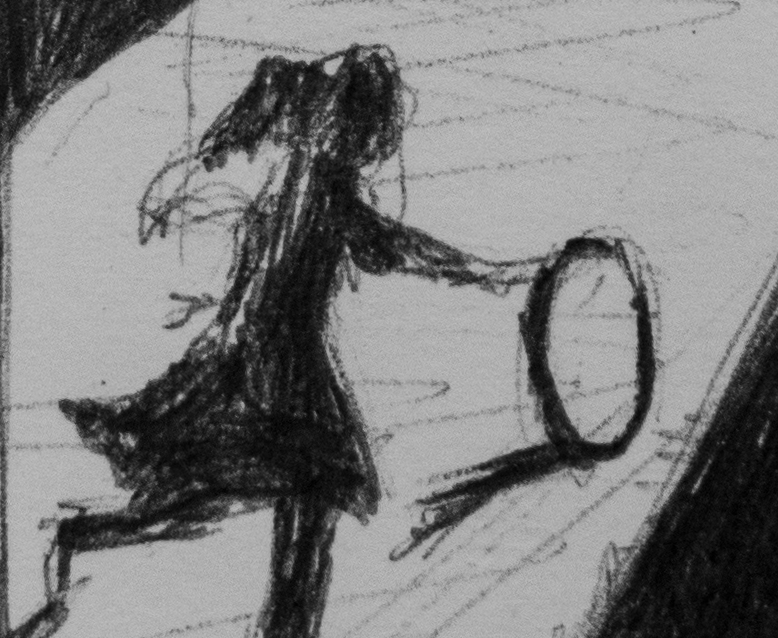 I was trying to draw my interpretation of the world in which these stories now awaken. Today, the dynamic of the total archive continues to operate. We look for totality in the wrong place. I like to think of the “database of dreams” as an unintended, beautiful modernist masterpiece: an anthropological Ulysses with multiple authors, some named, some anonymized, others unidentifiable. Pastiche arose where universality was sought. As with this volume’s other examples of mid-twentieth-century total archives that appear baroquely partial in retrospect—Jardine’s midcentury happiness metrics, Laemmli’s global dance archive, and Kaplan’s endangered-language storehouses—the archive imperfectly representing totality touched on something vitally important. Without necessarily wanting to, such scientific subjects of modern change were forced to engineer their own lives. Their stories fill the database of dreams. They are the database, filed along with the accumulated test evidence and accompanying dreams, rendering it a different kind of total archive. Their very incompleteness, the “pathos of the perishable format” to which they succumbed, and the mishmash of the social-scientists’ dreams with the subjects’ dreams—each also dreaming of the other—form a palimpsest for an ever-growing totality. He concluded matters by telling the anthropologist collecting his life history, “Well, I guess that’s all George. There wasn’t much to my life. The main incident was the time I run away from that sanatorium. That’s the only thing that seems interesting to me.” He had never told the story to an outsider before, and perhaps it would never have been told had Spindler not come along. Lemov, Rebecca. 2015. Database of Dreams: The Lost Quest to Catalog Humanity. New Haven, CT: Yale University Press. Spiro, Melvin. 1956. Data set. Microcard Publications of Primary Records in Culture and Personality, v. 1. LaSalle, WI: Microcard. Taussig, Michael. 2011. I Swear I Saw This. Chicago, IL: University of Chicago Press.